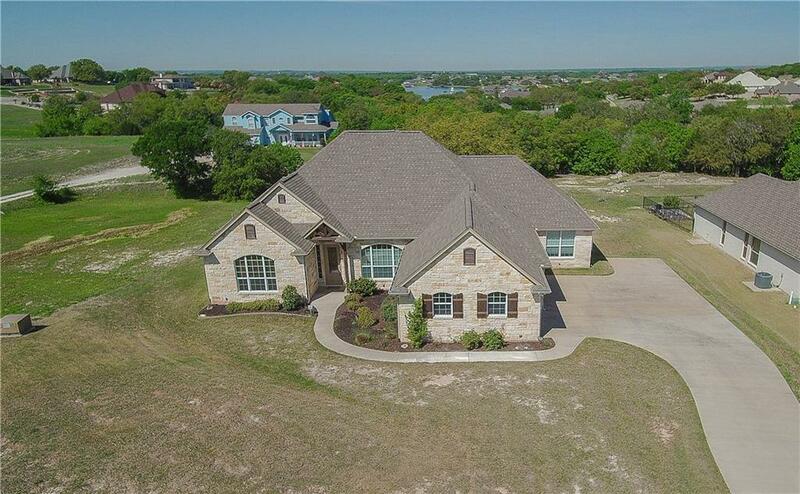 Beautiful Custom in Bentwater at Lake Granbury with incredible views on 1.58 acres. 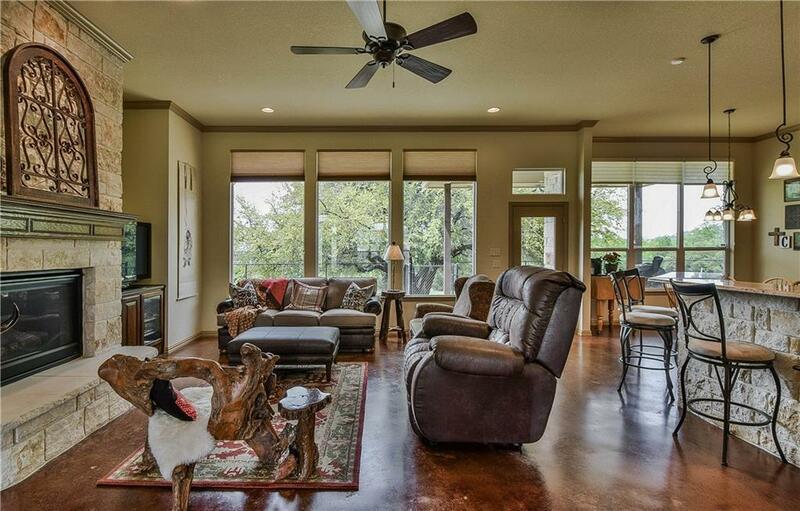 Open floor plan with impressive Austin stone fireplace. Custom stained concrete flooring through out home. Gourmet kitchen with granite counter tops, 42 inch custom cabinets, island, walk in pantry. 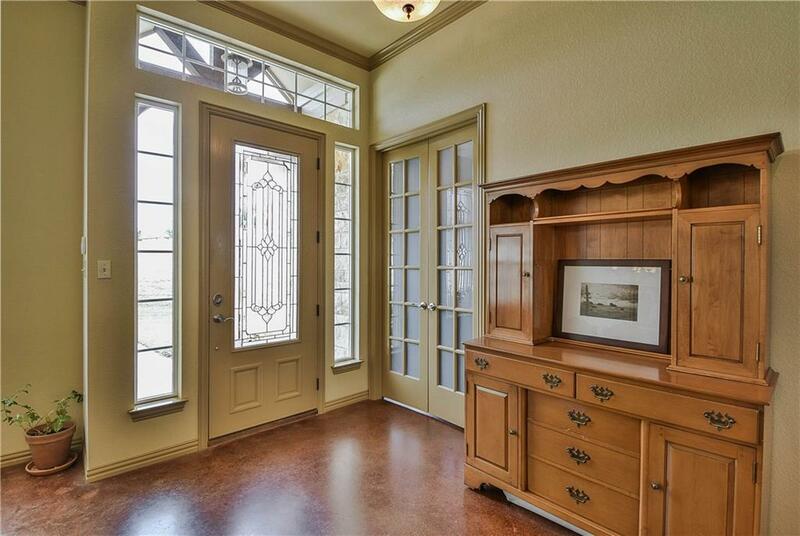 Enjoy your morning coffee in the breakfast nook that overlooks the covered patio and scenery. Split bedroom arrangement. Office off of entry with built in bookshelves. Private master suite with views of the back treed space. Master bathroom with separate vanities, over sized step in shower, jetted tub and walk in closets. Spacious utility room. 3 car garage. 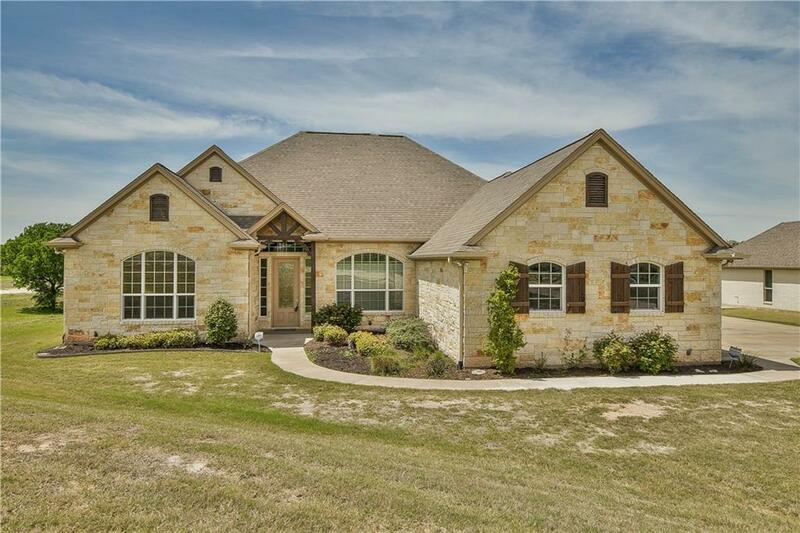 Offered by Toni Mcmillon of Keller Williams Realty.